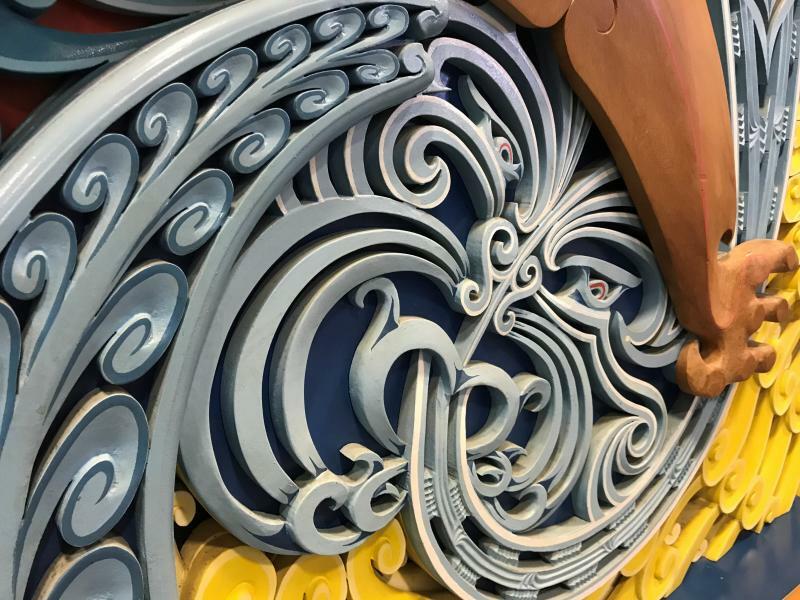 Recognised as a pioneer of the modern Maori art movement, Dr Whiting took a central role in designing and developing the contemporary marae at the Museum of New Zealand, Te Papa Tongarewa. 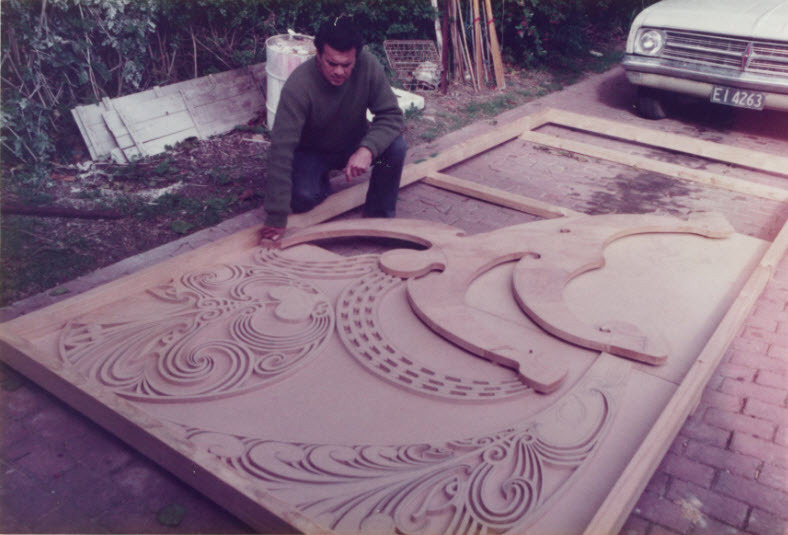 The use of custom-wood carvings and other modern, non-traditional materials in this marae was controversial back in the mid-1990s – but a decade before this, he used similarly modern techniques in the carving of MetService’s own taonga: Tāwhirimātea and children. Tāwhirimātea and children has pride of place in the reception area of our head office in Kelburn, Wellington. 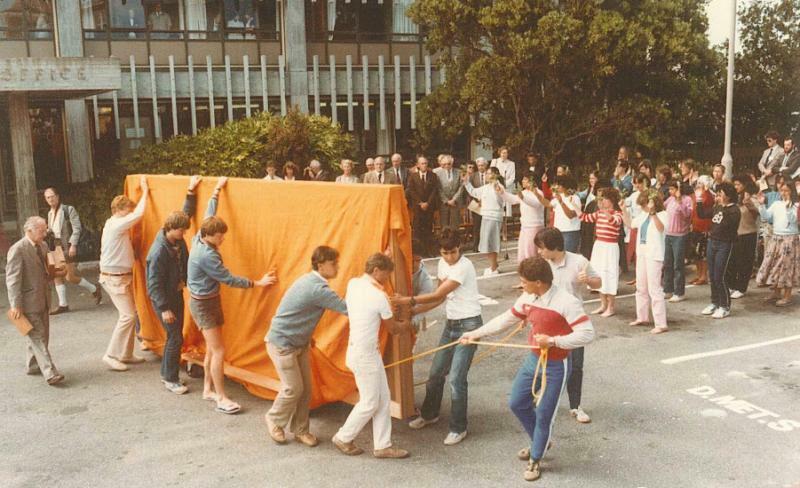 On 21 February 1984, as the kuia chanted the karanga, artist Cliff Whiting and his supporting party hauled the "whakairo taonga" (carved treasure), the great mural Tāwhirimātea, veiled in orange cloth, onto the marae of the-then Meteorological Office. Two hundred staff and invited guests took part in the "whakaturanga hui", surely the most impressive and moving ceremony in which MetService has been involved. Rev. Tawhao Tioke gives the dedication before the taonga is taken into the building. Cliff Whiting is on the far right. Hon. George Gair, Minister of Civil Aviation and Meteorological Services. In his speech, the Director of MetService John Hickman referred to the qualities of life that our technology does not address, the dynamic of the primordial forces of nature, and the searching for co-operation between Māori and Pakeha. The Minister of Civil Aviation and Meteorological Services, Hon. 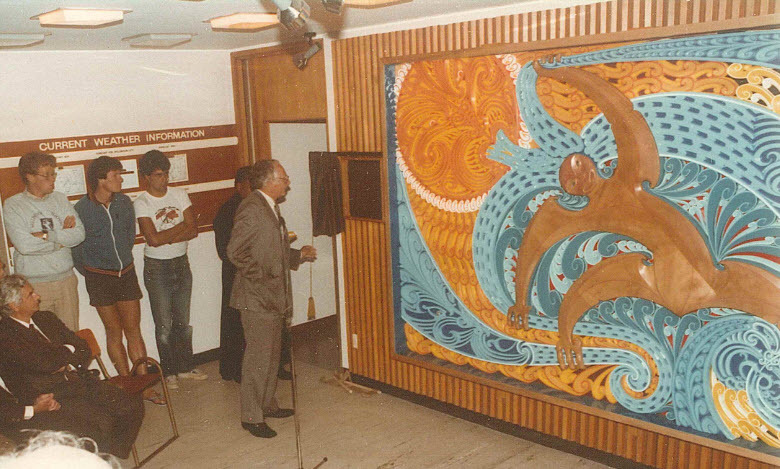 George Gair, expressed the opinion of artistic experts when he described the mural as a contemporary masterpiece. Minister Gair later unveiled the descriptive plaque. 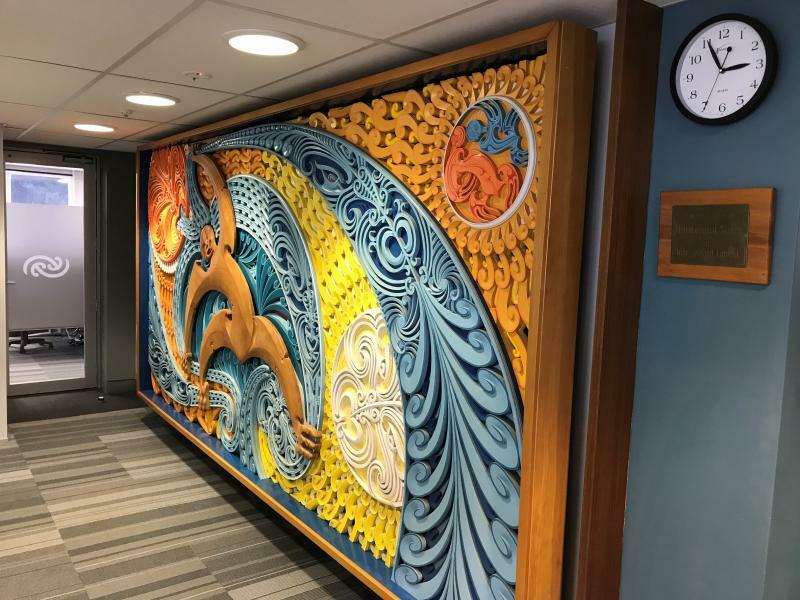 The mural depicts events in the Maori account of creation. 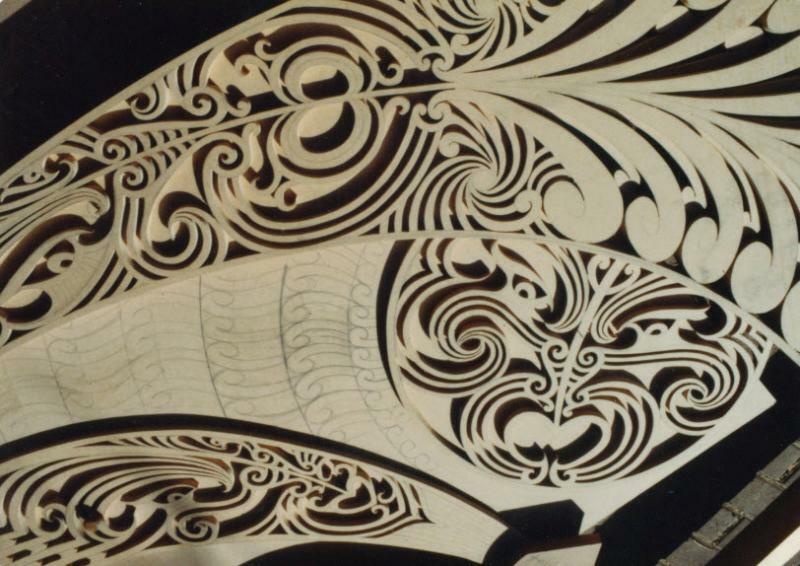 The figure of Tāwhirimātea, God of the Winds, carved in Northland kauri, dominates the composition. He wrestles with his turbulent offspring Te Whanau Puhi, the wind children, seen as the blue spiral forms: Raro, north (lower left); Tonga, south (upper right); Rawhiti, east (upper middle); and Uru, west (lower middle). Te Ra, the sun (top left), resplendent in orange and yellow radiates energy throughout the cosmos. The pale figure of Marama, the moon, exerts her own influences. The action of the mural derives from the primeval union of Ranginui, the Sky Father and Papatuanuku, Earth Mother, alluded to in the top right corner. Their sons Tāne, Tangaroa, Rongo, Haumia and Tu-Matauenga plotted to separate their parents so that they might be free to explore the world. It was Tāne who heaved the parents apart. But one son, Tāwhirimātea, was outraged by this violation and, with his wind children, battled with his brothers. L-R: Uru, the west wind – detail, lower middle; the rays of Marama, the moon – detail, top centre. The mural contains many symbolic allusions to this "time before time". As well as the major themes of the traditional separation story, in some of the koru shapes surrounding Tāwhirimātea we can see the dark blue-green fern fronds of Tāne the forest god; in others, the lighter turquoise waves of Tangaroa the sea god. The red background behind these fronds and waves represents Ruamoko (the "unborn one", god of earthquakes & volcanoes), and the dark background behind the rays of the sun and moon represents To Po (the night) and Te Kore (nothingness, the void). 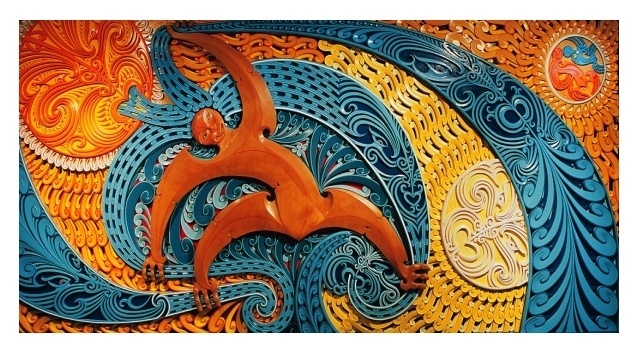 Thus the mural is set in the totality of the Maori cosmogony - origin and present. Each Maori can trace his lineage back to Rangi and Papa. Cliff Whiting says, "You look at this mural and you look at who I am." The form of the Tāwhirimātea figure is a Cliff Whiting "signature", in the notches where the limbs join the torso. Note the moko on the face - the seat of being and identity, and the lines representing bloodstream or life-force. The blood red colour derives from the blood that flowed at the tearing apart of Rangi & Papa, forming the red ochre of the Earth. There is also a subsidiary "weather" theme. You can feel the dynamic tension of the composition - the sense of power and forces not quite in balance - the restless energy. 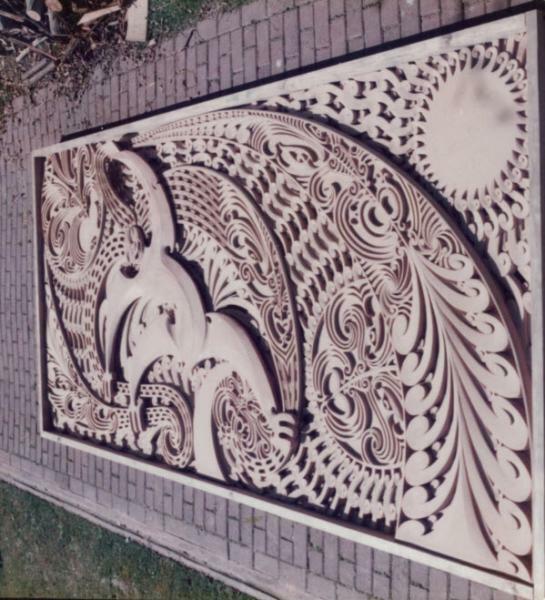 It is the koru shape - the large spirals of the winds and the small, wave-like koru - that creates these effects. The sun is the origin of the weather energy. Its heating creates our weather. Note the "waves" of energy reaching through space. The moon exerts a gravitational influence. The large spirals of the winds are like the spirals of cloud bands that cover the globe (the direction is as it is in the Southern Hemisphere). The small koru shapes represent the small turbulent eddies in the air and also the sea. They are also important in the interacting of our weather. Dr Whiting took inspiration from the community and the environment, both of which are at the heart of MetService’s purpose for being. The koru is a dominant motif. Symbolic to the Maori of growth and development, to the meteorologist it suggests the energetics of the atmosphere, from large-scale planetary waves to small turbulent eddies. 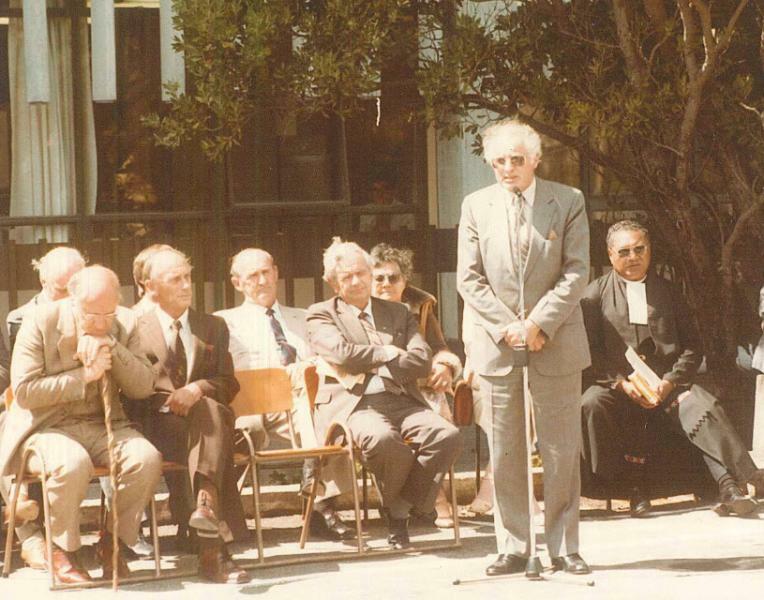 MetService wishes to honour Dr Whiting and recognises the cultural significance of Tāwhirimātea and children in representing events in the Māori creation account that relate directly to the work we do. 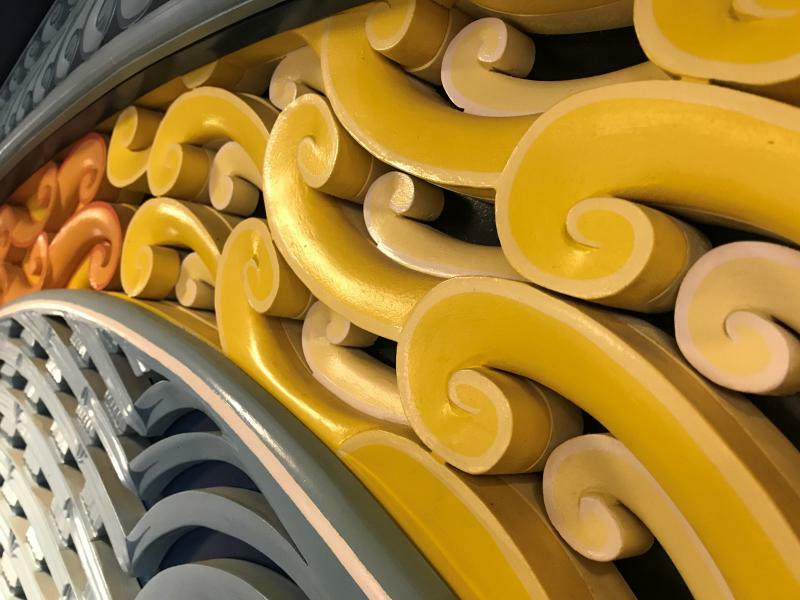 We are fortunate to be custodians of this taonga, rich in traditional and contemporary imagery, and highly valued by many outside our own organisation as well as within. Material for the interpretative information above was prepared by former MetService employee Ralph Pannett in August 1984.